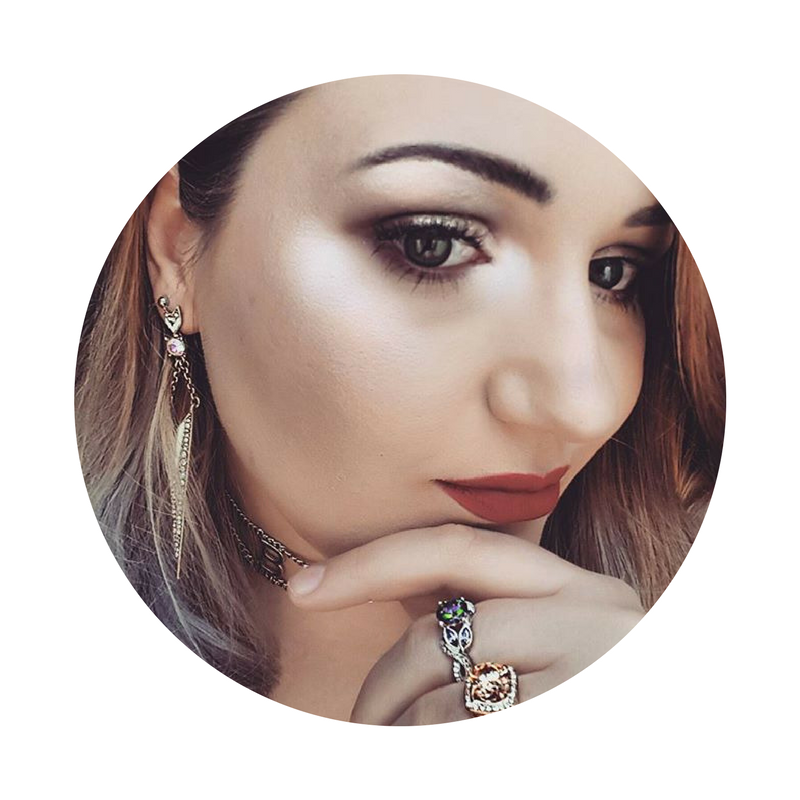 Over the past couple of years I have been in a slowly growing relationship with Urban Decay.It started with the Naked 3 palette and has slowly progressed from there. Every thing I have tried from Urban Decay I have loved, so when a new foundation comes out you know I'm gonna give it a try. The foundation in question...Urban Decays One and Done. Designed to be a moisturizer/complexion cream as well as a foundation, standards were pretty high for this guy. Especially when it boasts miracle blur particles. Firstly the packaging is very different.With its squeeze tube and pump system, it is very different. In fact I have only ever come a cross one of foundation packaging like this. The pump is great for getting out the product with out potentially squeezing out too much and the squeeze bottle helps push the product down to the pump when you get low, excellent. Too many times have I struggled with getting the last little bits of foundation out of bottles,the struggle is real. So what about the product in general? Well...it is very creamy and easily bendable, it definitely goes on a dream. There isn't strong scent which is great if you don't like that kind of thing. The overall finish I would have to say is semi dewy, it definitely gives you a subtle glow without making you look too oily or shimmery. Though, for me personally I think the coverage is just a little to light for me, but I make it work. The coverage is definitely light to medium, but not very buildable, I tried but it didn't look like it did anything. 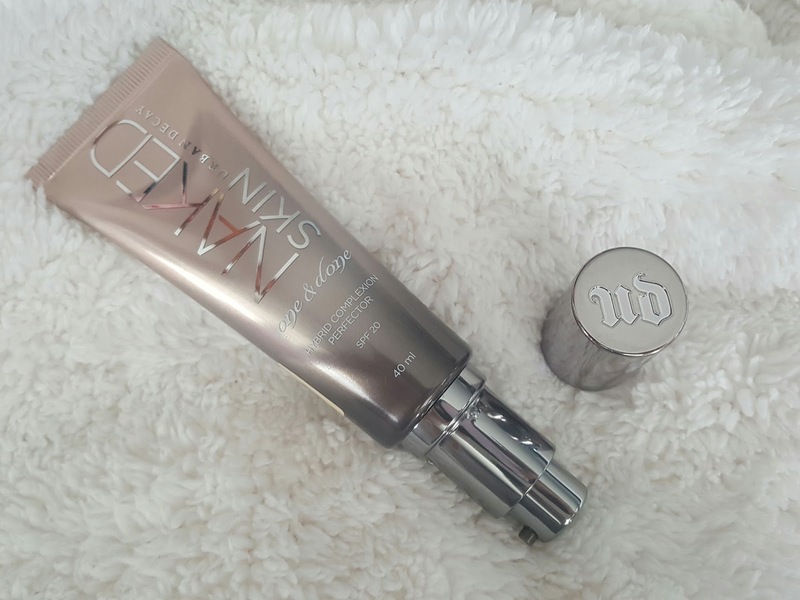 It definitely reminds me more of the Laura Mercier Tinted Moisturizer, just with a little more coverage. 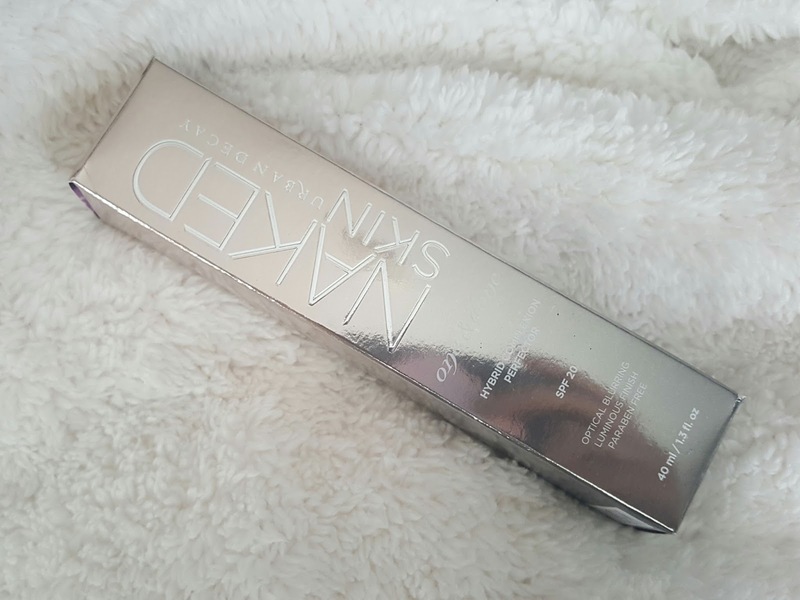 For a foundation it is great, so easy to work with and really does give you that even skin tone. 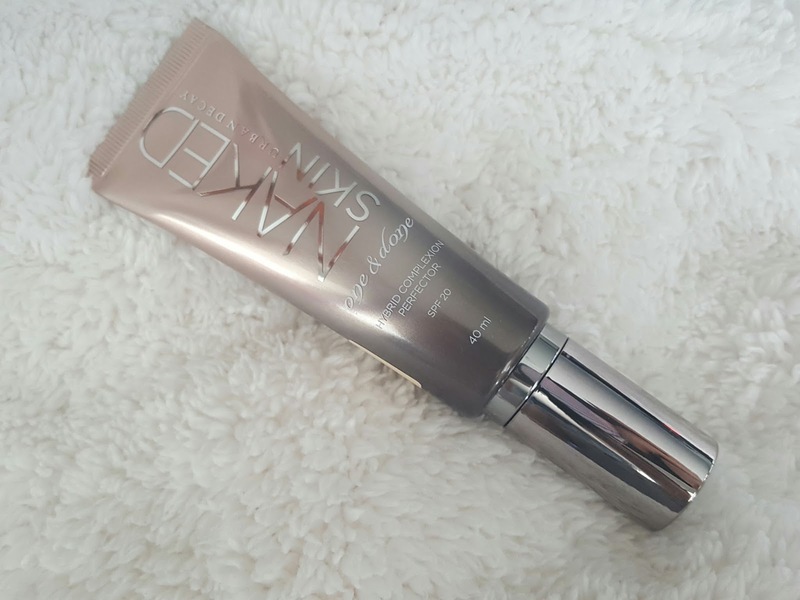 But,if your like me and like a bit more coverage then it probably isn't for you, I'd recommend the Naked Skin Foundation as that is weightless and medium to high coverage. Though, if you do decided to pick it up and you want that little bit more fuller coverage I'd recommend applying your concealer onto your blemishes first this way you won't be over applying concealer. Unfortunately there are not that may shades available, so not every one will find their shade. So, if you are after a highend Urban Decay foundation it would have to be the Naked Skin. I see this like a BB cream. I definitely want to try it when I go back to my natural shade since I'm so dark from the summer!